Imagine you could buy a “magic gas pump” that would produce gasoline for your car out of thin air. This device would produce gas for at least 25 years. It would give you AT LEAST TWICE AS MUCH GAS AT TODAY’S PRICES, THAN IT WOULD COST TO INSTALL. Think you’d be interested in investing in one of these “magic pumps?” Whether you spend five hundred dollars or five hundred thousand dollars for your very own “gas maker” you would save AT LEAST twice that in gas over the life of your magic pump. Sounds like the biggest “no brainer” purchase in the history of mankind. Well this is EXACTLY what renewable energy does! Solar PV (electricity out of thin air) money AT TODAY’S ENERGY COSTS. That’s the key phase because, as you know, fossil fuel prices always increase over time. 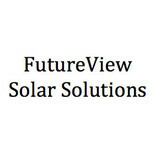 Let the experts at FUTUREVIEW SOLAR SOLUTIONS show you the wonderful, cost saving world of solar energy. Our 27-year old history ensures you of the best quality, lowest prices, and a DOUBLE DIGIT return on your investment...GUARANTEED! 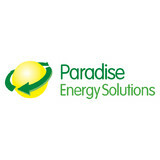 Remember...the cost of sunshine is NOT going up next year...can you say that about your electric bill? Along with off-grid solar, wind and hybrid energy systems that include batteries and backup generators, there are also grid-tied solar and wind operations. Grid-tied systems are attached to your New Market, PA utility company so if you produce more energy than you use, your meter goes down and you build up energy credits. 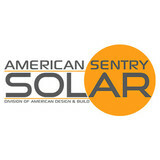 Find solar energy contractors in New Market, PA on Houzz. 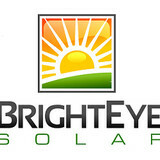 Search the Professionals section for New Market, PA solar energy contractors or browse New Market, PA photos of completed installations and look for the solar energy contractor’s contact information.